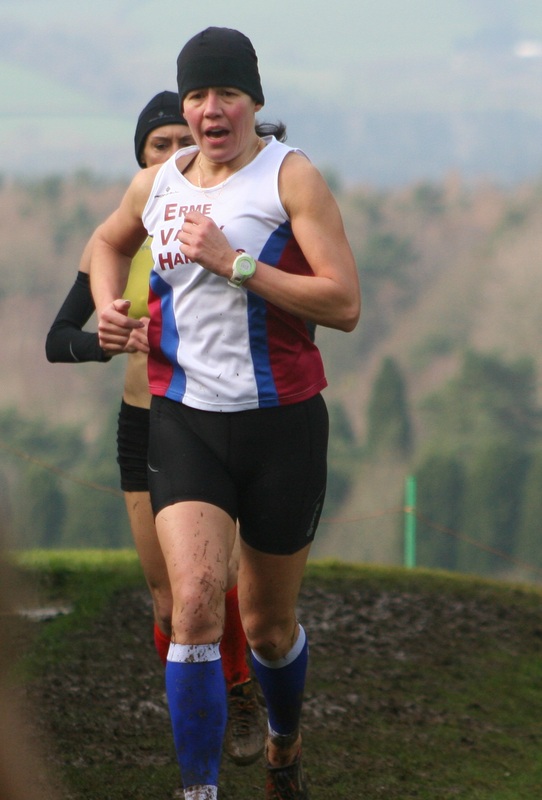 JO MEEK enjoyed success back in Tavistock AC colours on Sunday by finishing second in the women’s race at the latest Westward League Cross Country Series event. The international trail and ultra runner, who has returned to Devon after living in Hampshire, finished behind Bideford’s Julie Dixon in the race at Westward Ho! Erme Valley Harriers’ veteran Cleo Perry (pictured) backed up winning the South West over-45 title the week before by finishing in third place on Sunday. Perry finished just five seconds behind Meek. The top three finishers in the women’s race at Westward Ho! were all over-40. They were followed home by Plymouth Harriers’ Ami Yetton, Tavistock Run Project’s Rachel Malthouse and Tavistock AC’s Sam Lake, who filled the top six spots. Tavistock AC’s Natasha Farrington was second under-17 runner home in the women’s race. City of Plymouth AC dominated the under-13 girls’ race on Sunday. They had four runners in the top six. Molly Shorey led the way by producing an impressive run in the wind to win by 14 seconds, with Torbay’s Iona Farquharson second. Plymouth’s Holly Reid took third, with team-mate Verity Tank fourth and Molly Gilbey sixth. Erme Valley’s Bella May was 10th in that race, with Tavistock’s Matilda Riggott just behind in 11th. There was a top three finish for City of Plymouth’s Isabella Morris in the under-11 girls’ race, with Tavistock’s Claudia Jones sixth. Run Project’s Jim Cole produced a strong run in the men’s race to finish fifth, with Bideford’s Ronnie Richmond claiming victory. Cole’s team-mate Ben Neale was seventh, with Tavistock AC’s Adam Holland 12th. 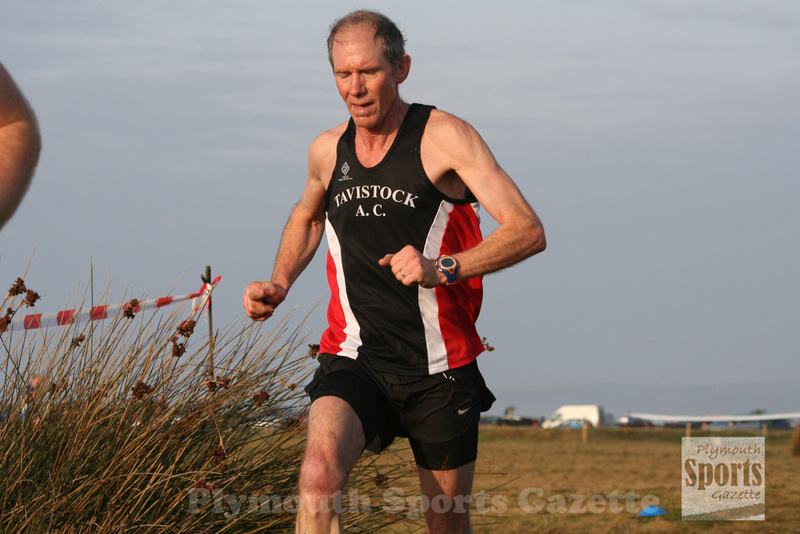 Tavistock’s Martin Exley-Deane continued his dominance in the over-55 category with another race win. In the boys’ under-17 race, Tavistock’s Bradley Stevens came fourth, which was also the position club colleague Abraham Reid achieved in the under-15 event, with Erme Valley’s James Scantlebury eight. There was a top 10 finish for Tavistock’s Ewan Dix in the under-13 race. He finished seventh, while City of Plymouth’s Barnaby Hutchings came fifth in the under-11 race.